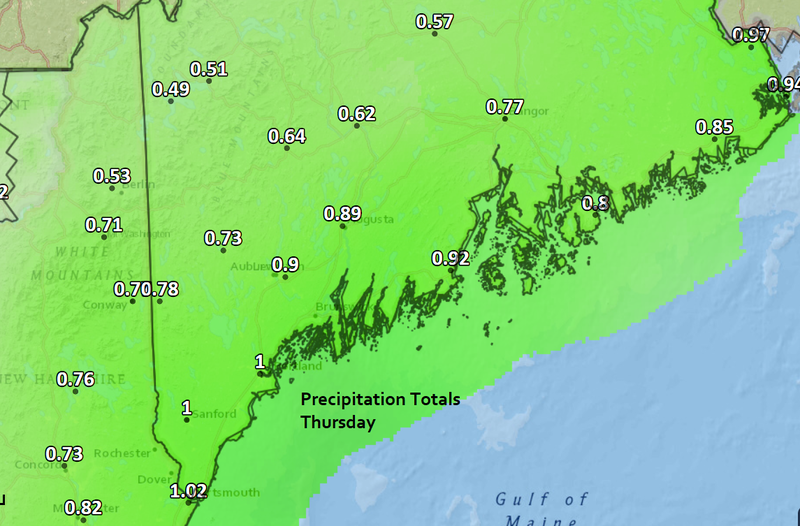 Coastal areas will see rain Thursday with some snow in the mountains. On Thursday a cold front will push through the region and bring showers and perhaps even some heavy downpours, and snow in northern areas. 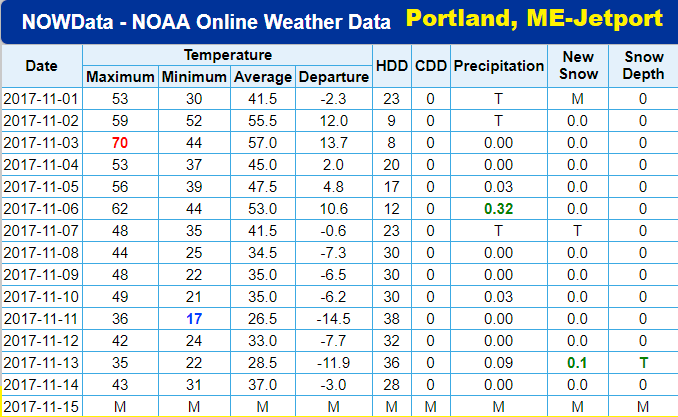 One of the aspects of meteorology I really love is the fact that it changes so fast, especially here in New England. November started on a very warm note, but then cold air from Canada started moving in, and since then we’ve had day after day of below-average temperatures. Today will likely mark the 10th day this month of below-average temperatures. A third of the days this month so far had above-average temperatures, but the rest has been colder than average. For many sites in New England, November is the cloudiest month, and it’s not unusual to see a sunny day followed by a stormy one. This is going to be the case as we head through the next several days, with two storms on the way. The loop below shows the two storm systems affecting the Northeast over the next few days. On Thursday a cold front will push through the region and bring a period of showers and perhaps even some heavy downpours. A low-pressure system will develop along this frontal system, enhancing the amount of rainfall. This is a fairly vigorous and fast-moving system and won’t last very long. I am expecting a up to an inch of rainfall, most of it coming late in the afternoon and early in the evening on Thursday. This is poor timing for the evening commute. Whenever we get precipitation during one of the commutes at this time of the year, traffic tends to slow down dramatically, and Thursday evenings are often difficult even in the best of weather. This is a predominantly rain event for the big cities of Maine. Across interior northern New England, including Maine, the storm systems will bring a mixed bag of precipitation. Thursday’s event could produce up to 3 inches of snow in the higher elevations. As you move west of the Maine Turnpike there may be some snow mixing with rain. From Gray to Lewiston to Augusta there could be a coating, but it’s also possible the snow stays farther north. In other words, no big deal either way. On Friday it turns blustery dry and colder but the dry weather doesn’t last. Another storm system will approach the region on Saturday. If you’re playing in any late-season field games Saturday morning, you should be able to do so in dry conditions. The afternoon, however, is a different story. Rain will push into the region from the west and the south, and it could become quite heavy for a time Saturday afternoon or evening before tapering off late at night. 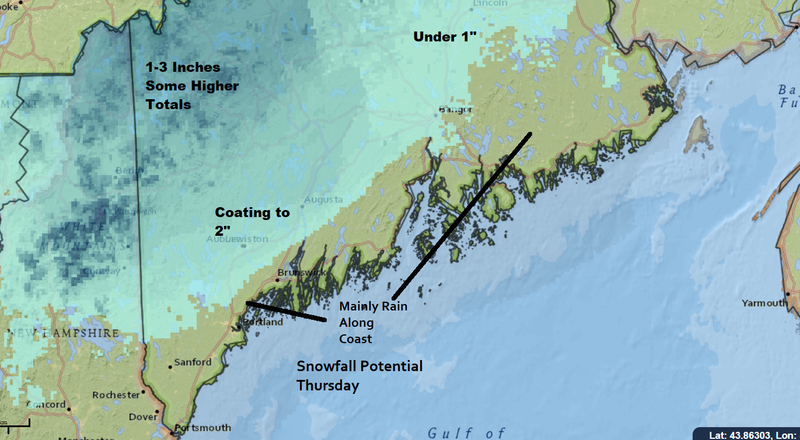 Snow could fall in northern sections of Maine and again in the higher elevations. Some more snow is going to accumulate, especially over higher terrain. It then turns relatively dry for the start of next week and into Thanksgiving. Most of the models keep the area dry through the holiday weekend. It will be cold for Turkey Day itself with a moderating trend possible later in the weekend. Currently, there are no snow events in sight for southern New England, but as we all know, this can change very quickly.